Onto the Path of Spiritual Revelation! all with good things and perfect health. Wow! Thank you Jignesh for this beautiful greeting. Good work and best of Luck for everything in life and wish good things coming your way !! Thank you Saurabh for your very kind words. The Kailash Manasarovar trip was such a beautiful experience – a once in a life-time experience. Glad you enjoyed the pics and the writeup. This was a poster I bought on the sidewalks of Mumbai, scanned it in and posted it here. Glad you liked it. How are you both doing? Has she arrived?! heh heh! nice baby ganesh, no? Are you back in NC? Happy Sivaratri Arun, to you and your family! Went to a friends house for a wonderful puja! Awesome! hope you had a wonderful day! Happy Shivratri to you too Arun! 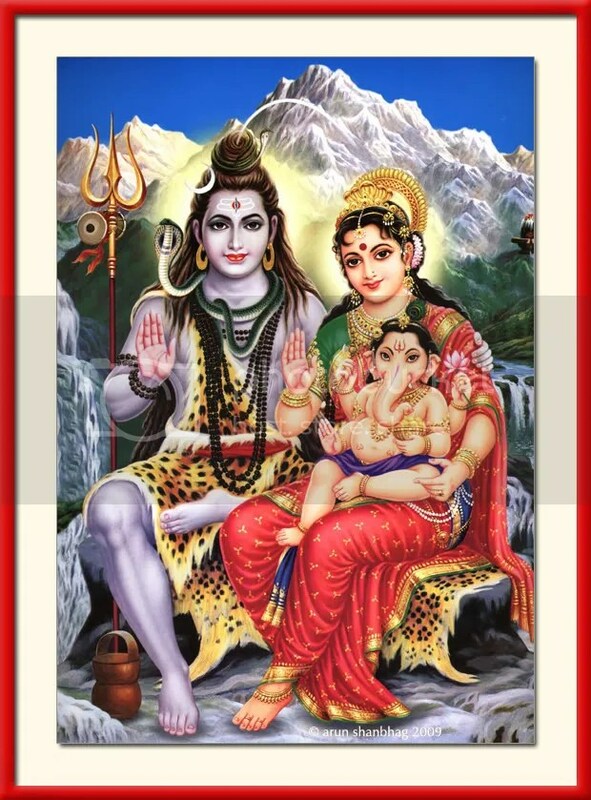 A super Maha-Shivratri to you! Looks like you are doing well! Has to be the Ganesh Festival starting this year on 23rd Aug, 2009. it is a fun-filled 5-11 day festival and very popular in Mumbai.